Please understand that this process also includes resolving the reports of bugs and missing effects regarding many other OCP items. During the coming weeks you will be seeing many items adjusted to their net benefit of their owners, as we work with the studio to make sure we have the latest effects.. These items are already OP or near OP and they're getting BUFFED? :v Holy crap. I think those effects were good enough. :/ Wouldn't have spent money on it at all if it weren't for these effects... Its unfair imo. This is my guess about the "Buffing" of the said gears. Shouldn't have changed the description on devil's hand, you made a temp fix to it's effects to compensate for a completely messed up effect, but changing the description advertises it as if you are keeping that effect. More understandable if it has an unintended effect but you at least make the description match what it's "supposed" to be. Feels like shouldn't buy any gear or upgrade it cause never know when it's gonna change or what it's supposed to be, etc etc. I was confused, what was the original effect of the enforcer shoes and what is the current effect? Which OCP gears will be modified? Does this mean that Enforcer Shoes will have its 100% bypass buff? Edited by YongkySH, 07 June 2018 - 06:14 AM. Item effects should be true to their descriptions in game and stay that way permanently. I've had just about enough of retroactively changing things people are used to. I don't give a **** about what it is "supposed" to be. I only care about the version we are getting. Its fine for iRO to be different. We have our lines in the sand, and other servers have theirs. Save the GMs a ton of rework and just leave items to do what they do. If they don't do anything that is a problem that should be fixed. But if they don't work exactly as oversea turbonerds claim, I honestly couldn't care less. Do you realize the amount of work and traffic they have to accept to nerf an item, make their players unhappy, then bog down their CS team with refine transmission tickets? Just because some people QQ about the original "intended" effect. Who gives a ****? Edited by Scuba, 07 June 2018 - 07:06 AM. Phreeoni Card is supposed to give 50% perfect hit when used with the wings, but It currently adds 50% hit to your total before buffs. It's enough to hit pretty much anything with nasty agi up. If you are feeling tempted to sell yours because it's getting nerfed (since 100% perfect hit is pretty much impossible atm), there are a lot of gears that will make it possible in the future. If they will ever come here, that's another story. The Cylinder Hairband change makes no sense at this point and honestly just feels like a cash grab. Edited by LiteAdi, 07 June 2018 - 08:15 AM. Edited by KriticalAssassin, 07 June 2018 - 08:16 AM. R.I.P. Valkyrie drops will be junk item in next 5 months. Buff items, make another OCP remix with it, lots of cash. I'm confused as to why you guys didn't leave the OCP item effects how they were like in jRO but instead changed it and now you are fixing it again. Especially people asked about Valkyrie Drop and Devil's Hand's FCT reduction problem beforehand and seemingly nothing was done anyways. Can u stop releasing these un'fixed' items. We're gambling on these ocp boxes for that rare item we want, but now we're gambling on what will the item actually do too. And new ocp incoming next week? slow it down please! There is no way to make it 100% for a particular skill. Due to this were aligning it with other OCP gear that have the same issue. 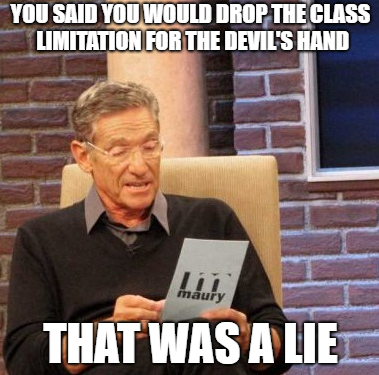 But were dropping the class limitations. Devil's Hand is already extremely powerful with its 100% def bypass and other bonuses. No, because the fix is applied on gear switching, it will prohibit your character to change gear mid-cast. You'll still get +30atk with 90sec duration, not worth the effort imo. No restriction whatsoever is applied on class use of the shield. Royal Guard Shield is not an OCP item. Can we get the Original Verus Core sprite so people don't get scammed? Just please, notify users about possible changes in the future, those gears are expensive as hell. Edited by Hissis, 07 June 2018 - 10:39 AM. Star Emperor will be able to use the Book of the Sun God in the future? You advertise to sell a product and persist that it comes with a certain functionality specific only to this server. You are then questioned about this change and argue that it is necessary should the product be introduced into the community. Months after you have saturated the market with sales of the said product, you revoke your initial remarks about the function and are now suggesting to revert back to its original design. This my friend, is deception and fraud. I am unsure of how you view proper business etiquette but this cannot be done. It is wrong on so many levels. Just because you are dealing with intellectual property, doesn't make this any less wrong. You all know if this were done to you with a real product by say, Apple, they would be dealing with refunds and lawsuits left right and center. Most importantly, this would damage their brand. Very disappointing. We got the fix for it now. Which took some effort to get. So in the future we can all expect this will happen to future ocp items? Going back and forth between effects? Expect that eventually, they probably will be the same as JRO effects.